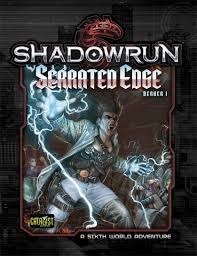 Shadowrun is a science fantasy tabletop role-playing game set in a near-future fictional universe in which cybernetics, magic and fantasy creatures co-exist. It combines genres of cyberpunk, urban fantasy and crime, with occasional elements of conspiracy fiction, horror and detective fiction. 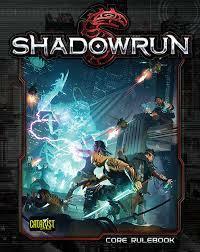 From its inception in 1989, Shadowrun has remained among the most popular role-playing games. It has spawned a vast franchise that includes a series of novels, a collectible card game, two miniature-based tabletop wargames, and multiple video games. The title is taken from the game's main premise – that corporate espionage runs rampant in a near-future setting. A shadowrun – a successful data theft or physical break-in at a rival corporation or organization – is one of the main tools employed by both corporate rivals and underworld figures. Deckers (futuristic hackers) who can tap into an immersive, three-dimensional cyberspace are opposed by rival deckers and lethal, potentially brain-destroying AI called "Intrusion Countermeasure Electronics" – or "ice" for short – are protected by street fighters and/or mercenaries, often with cyborg implants (called cyberware), magicians, and other exotic figures, on such missions as they seek access, physical or remote, to the power structures of rival groups. Magic has also returned to the world after a series of dystopian plagues; dragons who can take human form have returned as well, and are commonly found in high positions of corporate power.